of technical components in plastic material. Merill borns from the experience and passion for the plastics injection moulding. Thanks to its internal flexibility, the technology, the know-how acquired over more than 30 years of applications in the field of plastic, you configure it as an ideal partner for the realisation of technical components in a variety of sectors. Each project is followed from the design phase, then prototyping up to the realization with a quality control. Thanks to the extreme flexibility, we are able to make productions both in small batches and on a large scale, all that with the maximum quality for a production that is qualitatively perfect. We work dedicated to efficiency and high quality, we use technologically advanced machinery with modern energy-saving systems both to avoid waste and to guarantee a product economically competitive. The high quality and technology of our machines allows us to guarantee a PPM<10. Industrial moulding is made by using the most modern materials to ensure durability and reliability of the products. The injection presses are equipped with effective software tools of programming and monitoring the production system and logistics to ensure timely supplies in the regime of just-in-time. 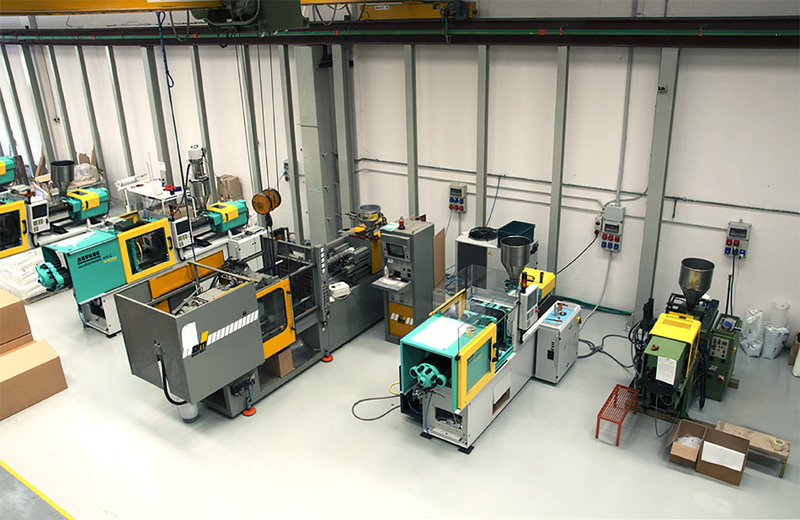 The entire production process is carried out with the most modern and sophisticated injection moulding machines. To ensure excellent quality products. Thanks to its internal flexibility, the technology, the know-how acquired, Merill configure it as the ideal partner for the realisation of technical components in plastic material. Merill is at your service for an high-quality supply.